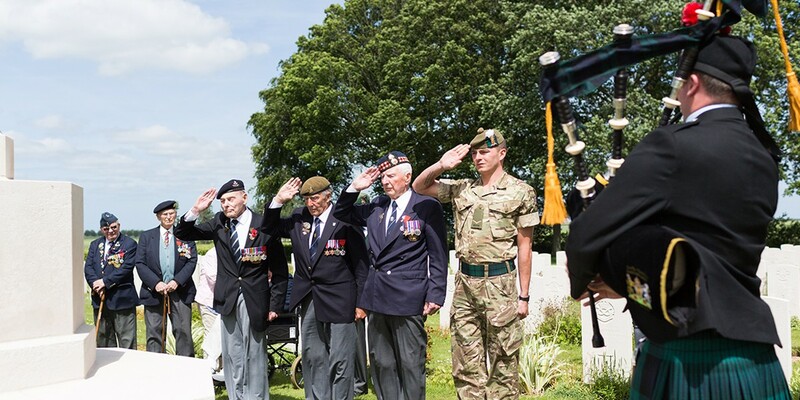 D-Day Revisited’s main objective is to fund and organise pilgrimages which give veterans of the Normandy campaign an opportunity to revisit the beaches and surrounding areas where they fought and pay tribute to the friends they left behind in 1944. As a charity we take our responsibility of care very seriously during these visits. 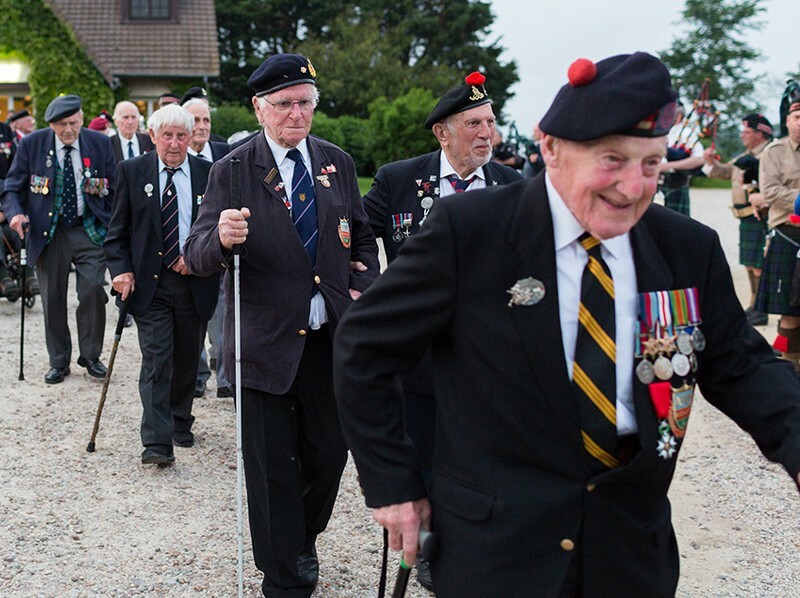 Veterans have told us that the days are gone when a gang of old comrades can jump in a transit van and head over the Channel for a week’s camping over the D-Day Anniversary. 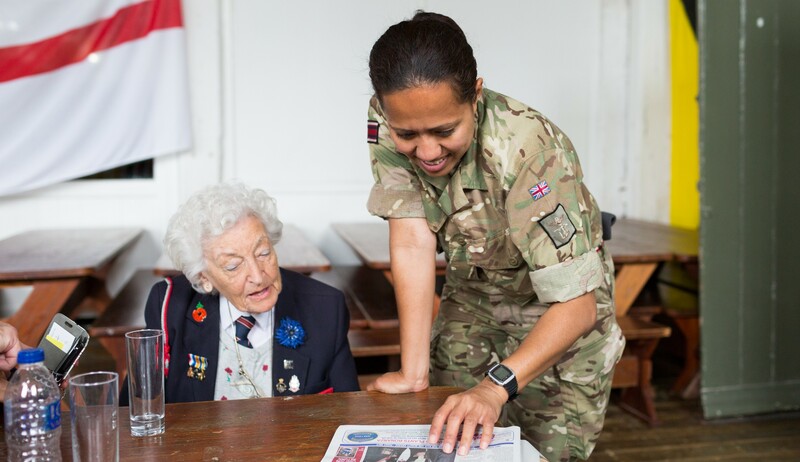 We listened, and consequently we have built a hard-working support team of volunteers who go out of their way to ensure the journey and the stay in France is as comfortable as possible for all veterans and their companions. This team now consists of at least six serving qualified medics from the Queen Alexandra Royal Army Nursing Corps who provide cover 24 hours a day. The team treats even minor complaints with professionalism and we notice veterans take comfort from knowing this support is available and seeing the military uniform gives special reassurance. 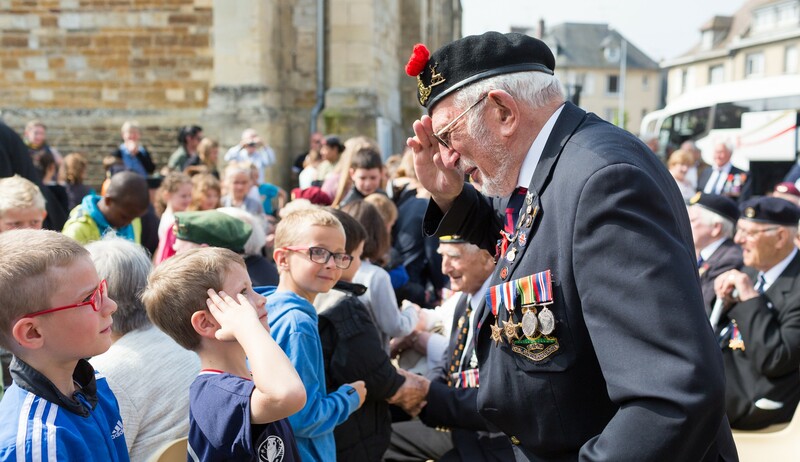 On average we take a group of 100 veterans, companions and support volunteers back to France each year. Although we understand that for many this pilgrimage is a difficult emotional journey, filled with quiet moments of reflection, we also recognise there are times when a bit of merriment is appropriate. Many veterans have not travelled within such a large group of comrades before and have told us they find the experience very entertaining, making new friends along the way! There is no cost at all to veterans, we feel that since these men didn’t have to pay for their first visit to Normandy in 1944, they shouldn’t have to pay now!